We all know that Santa arrives on Christmas Eve bearing bright, shiny new toys for happy kids everywhere. But what happens to the humble homespun holiday gifts often passed over in the rush-the grandmother-made sock animals, or the paste and cardboard unicorns given from little sisters to older brothers? Quite often they wind up shoved aside, ignored or tossed in the trash with the wrapping paper-until the night after Christmas, when they are rescued and magically brought to life by the mysterious Queen of Toys. A strange being both kindly and vengeful, the Queen is amassing an army of abandoned toys, ‘The Homemades,’ for the sole purpose of vanquishing the Kringle family and seizing the holiday season for herself. Only Jingle Belle and an odd assortment of her friends stand a chance of foiling the Queen’s plans. But first, Jingle must unravel the mystery behind the Queen’s origins, and confront a heartbreaking secret from a Christmas long past. 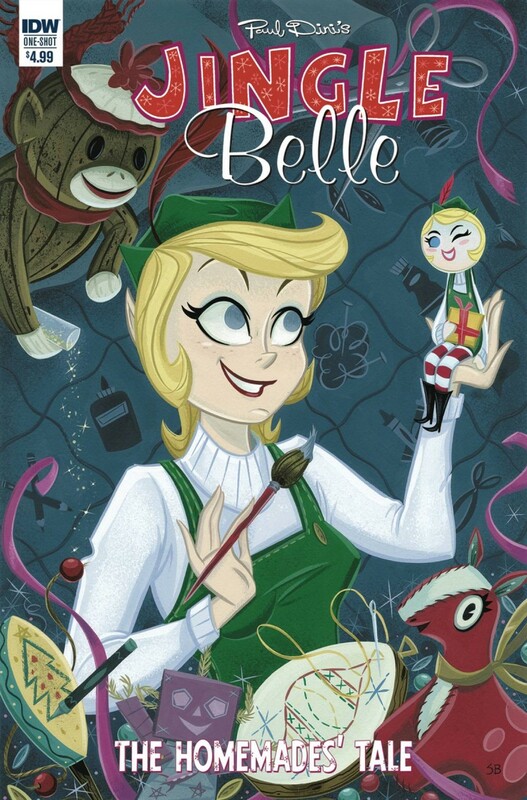 Santa Claus’s rebellious teenage daughter Jingle Belle returns in a brand new story filled with humor, heart, and holiday magic.